The Pirbright Institute hosted its Centenary Conference at The University of Surrey on September 11 and 12, 2014 to mark its 100th anniversary of the prevention and control of livestock infectious diseases and discuss current research into virus diseases of livestock and viruses that spread from animals to humans. Professor Adrian Hill from the Jenner Institute, University of Oxford, a close partner of The Pirbright Institute, spoke about the emergency vaccine being developed by his team to combat the current Ebola outbreak in West Africa. The UK’s Chief Veterinary Officer, Professor Nigel Gibbens, provided an overview of infectious disease threats to UK livestock. Professor Ab Osterhaus from the Ersasmus Medical Centre Rotterdam highlighted the threat continually posed to livestock and human health by existing and new strains of influenza virus and Dr Keith Sumption from the UN’s Food & Agriculture Organization (FAO) outlined the current global distribution of foot-and-mouth disease and the problems associated with controlling this economically important infection. Scientists from The Pirbright Institute also presented at the conference, including the Head of the World Reference Laboratory for Foot-and-Mouth Disease, Dr Don King, who emphasised the Institute’s vital work in the prevention and control a number of important diseases of livestock, poultry and humans, including foot-and-mouth disease, bluetongue, human and bovine respiratory disease, chikungunya, avian leukosis and Marek’s disease. Other talks from senior scientists from around the world reviewed aspects of genetic modification, virus structure, how cells, tissues and animals respond to viruses, vaccine development, diagnostic development, epidemiology of specific viral diseases and virus evolution. 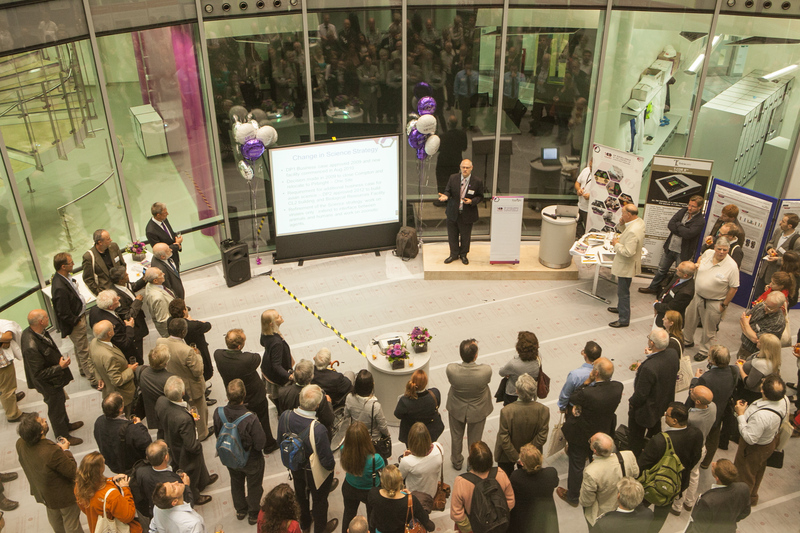 The two day programme also provided delegates with an opportunity to tour the first of the Institute’s brand new state-of-the-art biocontainment facilities, The BBSRC National Virology Centre: The Plowright Building. The Institute is currently in the middle of a major redevelopment programme funded by the Biotechnology and Biological Sciences Research Council and The Plowright Building provides the UK with a national capability to support research and surveillance of high consequence viral diseases.